Products: Apricots, berries, blood plums, nectarines, peaches and other fruit. Vegetables, herbs, chutneys, jams, tomato ketchup, cured fruit and spiced pears. December – August. 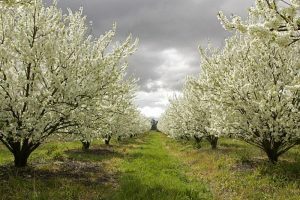 Hans and Maria Hoffmann established this orchard and berry farm 20 years ago based on the concept that fruit, where ever possible, be grown locally, picked at its optimum stage of ripening, and be available directly to the public with minimal processing. They do not use insecticides, use organic fertilisers were possible and farm sustainably. 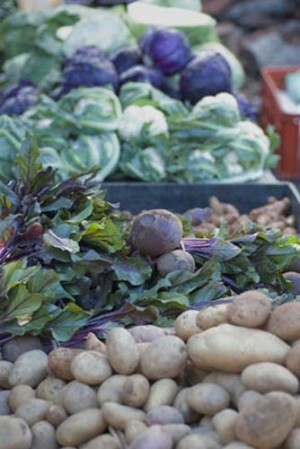 There is a direct outlet on site where a wide range of produce is available in season. The fruit includes apples, apricots, blackberries, blood plums, boysenberries, figs, mulberries, nectarines, peaches, pears and raspberries. The vegetables include beans, beetroot, corn, cucumbers, garlic, lettuce, onions, pumpkins, silverbeet, snowpeas, spinach, tomatoes, zucchinis and herbs. Many jams and preserves, chutneys and other delicacies are made in the commercial kitchen on the premises. Also situated on the property is a cafe where a delicious variety of smoothies, ice cream, gelaties, morning and afternoon teas with scones are available. Farm tours are available by appointment. KABUU is a start-up micro-enterprise. They are ecological urban farmers in training, committed to growing sustainably and supplying locals with local food. 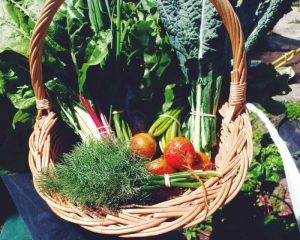 They run a micro-nursery and grow vegetables, herbs and baby salads. Their specialty is growing organic soil block seedlings for home gardeners and farms. They also sell a range of microgreens and edible flowers for eating. KABUU’s seedlings are mostly produced using the soil block method, which removes the need for any container, vessel or plastic pots. As well as reducing wastage, this means that the seedlings neither get root-bound nor suffer shock when transplanting. They grow organically using only approved certified organic inputs. Their seedlings are non-GMO, open pollinated varieties from certified organic seed and stock. Their nurseries are at Eltham (Monsalvat) and Research. The vegetables grown by Kinglake Vegetables include: beans, beetroot, broccoli, brussel sprouts, cabbages (savoy & purple), capsicum, cauliflower, carrots, celery, eggplant, fennel, kale, leeks, swedes, parsnips, potatoes, pumpkin, silverbeet, snow peas, spring onions, tomatoes and zucchini. Their fruit includes: blackberries, blueberries kiwifruit and raspberries. They grow slowly, traditionally, using their own seeds. It is colder at their farm in Kinglake than some other parts of Victoria so sometimes that means their produce isn’t ready as early as other areas. Farmgate: Saturday, 11am-twilight (say, 7pm) and Wednesday, 4-8pm. They follow organic and regenerative principles and hope to nurture soil life to create to healthy food. They grow without any nasty chemicals and prioritise Aus Certified Organic inputs (although they are not Certified Organic). They have had our soil tested to confirm their farm’s produce is free from heavy metal contamination. As an urban farm, Spoke and Spade are growing a story for people to eat and connect to the place they live and to the farmer they purchase food from. Their aim is to encourage connections through food. From farmers to families, neighbours to soil health, and recipes to the local grocery store – all upheld as important parts of life. They hope to create not just good food in the local economy, but a greater sense of place in community. They hope to change, challenge and improve on food systems locally and abroad. Products: A wide range of vegetables. Also, swiss brown mushrooms. Sugarloaf Produce is a small organic farm located at the base of Mt. Sugarloaf and the Kinglake Ranges. They are the 5th generation to farm this property. Composted organic matter is the key to growing their produce, and all of their compost is made on site using a mixture of farm green waste, cow, sheep and poultry manure, sawdust from their mill and other organic materials. Other biological techniques used on the farm include crop rotation, mixed cropping and mixed stocking. Beneficial compost teas are sprayed on crops regularly, and plentiful habitat is provided for beneficial insects in their vast bushland areas. Produce includes: beans, beetroot, broad beans, broccoli, capsicum, carrot, cauliflower, chilli, cucumber, eggplant, garlic, globe artichoke, leeks, lettuce, mushrooms, onions, potatoes, pumpkin, radish, rhubarb, rocket, silverbeet, spinach, tomatoes and zucchini. Products: Certified organic garlic. Some seasonal veggies when available. 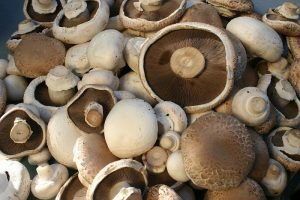 The Mushroom Shed is a local grower of swiss brown and white mushrooms and also provide ‘grow your own’ kits for people who want to grow their own mushrooms at home. They also do a wide range of herb and veggie seedlings, in pots/punnets – concentrating on heritage and unusual varieties, with over 40 varieties of heritage tomato seedlings available in Spring. You can see Mark and Helen at farmers’ markets both locally and in other Melbourne suburbs. As a small producer, they sell only direct to the customer via farmers’ markets (no wholesale), giving the customer ultimate freshness and an opportunity to talk directly with the grower. 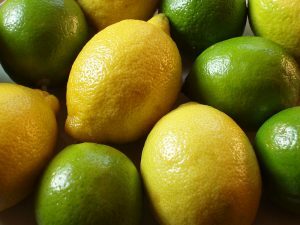 Products: Lemons, limes and herbs. Also, seasonally, pumpkins, blood oranges, grapefruit, jams and and marmalade. Many day trippers take great delight in discovering the fresh produce and plants on offer in this nursery’s roadside cart. Lemons, limes and herbs are available all year round. Seasonal produce includes pumpkins, blood oranges and grapefruit, as well as jams, fruit jellies and marmalade made from fruit from the property. Local outlets: Own shop – open 7 days from 8.30am (9am Sundays) to 5.30pm. 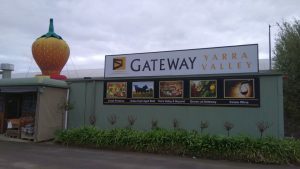 Yarra Valley Gateway Estate grows strawberries, capsicums and basil, runs a small beef herd, and makes wine and strawberry products. The fruit and vegetables are grown in a 5,000 square metre high tech hydroponic greenhouse, which uses much less water than conventional growing methods. The strawberries are available for U-pick. The beef herd is Angus cattle which are grass-fed and free of any hormones or growth stimulants; all regular cuts are available and they are also happy to cut to order. Their wines (Pinot Noir and Shiraz) are made from their own grapes. Finally, their strawberry products include liqueur, port and cream. 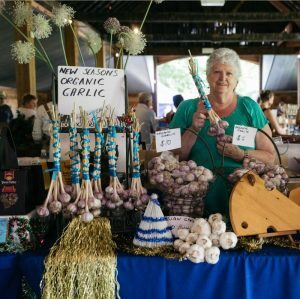 As well as their own produce, Gateway Estate sells a range of fruit, vegetables, pies, chutneys and jams at their farmgate, all grown or made in the Yarra Valley. Next to the farmgate, there is a cafe where they sell cold drinks, local organic tea or coffee and local handmade cakes and biscuits. 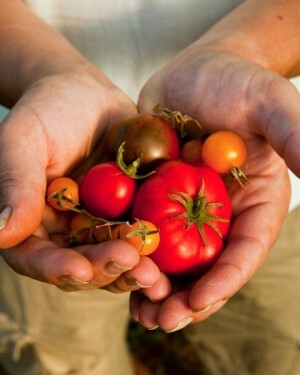 Available late December to March, Yarra Valley Gourmet Greenhouse specialises in heirloom tomatoes. Summer also heralds their Italian zucchini flowers, generally available from mid November to early April. Other vegetables, herbs and edible flowers are available seasonally. Almost 3 acres of multi-span igloos enable an extended growing season, and afford protection from destructive weather events such as frost or hail. Yarra Valley Gourmet Greenhouse supplies and delivers to local restaurants. Produce is also available direct from the farm (by appointment only). Sustainability is a driving force in the business. Cultivation and hand-weeding are practised rather than spraying herbicides. Similarly, biological controls and certified organic sprays are employed for pest and disease issues to avoid the use of harsh chemicals. All of our crops are harvested by hand, and cultivation is kept to a minimum, as constant traffic from heavy machinery can cause soil compaction and structural problems. Natural seaweed extracts, delivered via fertigation, boost the health of the plants by supporting soil ecology. The overhead irrigation has gradually been replaced by drip tape, which reduces water usage.